Projects | 360 Global Inc.
360 Global Incorporated has been involved in the mining industry, in the Philippines on a number of projects, as list below. Apex Gold, Compestella Valley, Mindanao, Philippines, CAPEX US$22,000,000. Apex was a 1,200 tonne per day through put plant. The Apex management wished to increase the through put to 3,000 tonnes per hour. 360 Global was commissioned to follow the BFS design with the full detail design phase. This detail design phase was completed to the satisfaction of Apex management. However due to the lack of a suitably constant mining production to sustain the plant design through put the expansion project was never fully commissioned. 360 Global Incorporated, was in JV, a joint venture with Autotech, Australia, for this Carmen Copper Expansion project. Autotech provided the process engineering and procurement. 360 Global provided the detail design documentation. This also included full fabrication detailing and engineering support throughout the construction phase. This expansion included an extension of the grinding and cyclone, flotation circuits. This expansion project was successfully commissioned. 360 Global was engaged by TVI Resources, Philippines to supply the BFS for their Balabag Gold Project. This BFS was successfully completed to the satisfaction of the client and the detail design has been started, and currently “On Hold” pending final authorities issuance of permitting. 360 Global has also completed a major BFS for a mineral sands project in Australia. The overall Agata BFS was managed by the client, TVI Resources, Philippines. 360 Global’s responsibility for the BFS was to supply the BFS report for the “Utilities” portion. This was successfully completed to the satisfaction of the client. 360 Global was engaged by Australian Garnet, Perth, Australia, to supply the BFS for their Balline Garnet, Mineral Sands project. This commission included all earthworks, water services, concrete, steelwork, piping, electrical, controls. Logistics included “bore water” supply, shipping of production (road and sea) Where possible all plant was designed to be modular for prefabrication off site, to minimize on-site construction costs. 360 Global’s largest a major project involvement has been a JV, Joint Venture with Gekko Systems, Ballarat, Australia. This project is known as Hopebay Gold Project, Arctic Circle, Canada. The client is TMAC, Canada. Gekko has provided their proprietory mining equipment and process engineering for the project. 360 Global has provided the detail design and followed up with full fabrication detailing so that all area sections can be containerized for shipping to the Arctic Circle project site. This has been a 12-month engagement up till now, completing the North train. The South train will follow in the coming 12 months to coincide with construction in the next summer session. 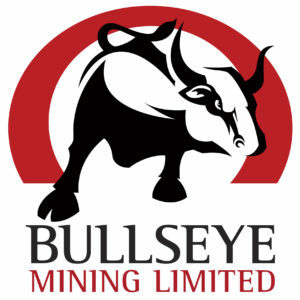 360 Global’s has been engaged by Bullseye Mining Limited, Perth, Australia to develop a BFS (Bankable Study) for their North Laverton Gold Project. This project is situated in Western Australia a five hundred kilometers north east of The state capital city of Perth. This is a very significant commission for 360 Global, being the first Philippine company to win a minerals project in Australia, in our own right. The initial design is for a 100M/pa through put plant but Bulleyes’ and neighboring tenement explorations indicate a very long life cycle for this company and project. It is proposed that 360 Global will be the engineering support for Bullseye, on-going. In October 2016, 360 Global was awarded the EPC contract for refurbishment and upgrades for the Didipio Copper-Gold project in Nova Viscaya, Philippines. The initial packages included the replacement / upgrade of the classification area 21, cyclone pack and the installation of the Area 42, Filtrate Weigh Conveyor. Didipio is owned and operated by Oceanagold, Australia. 360 Global Inc. is a fully incorporated Engineering company under Philippine SEC articles and Laws. Although 360 Global Inc. is only 9 years old its personnel combined experience is over forty years in the Heavy Industry, Mining and Power industries. 360 Global also boasts that it is the only fully Philippino Engineering company. All other companies that provide similar services are “encoding” back office companies that supply the engineering content from their parent office, off shore of the Philippines. 360 Global provides the opportunity for Philippino engineering graduates to be employed in their engineering discipline of choice and scholastic certification, within the Philippines. This particular situation allows direct contact by clients of Philippino projects to have direct access to all project development and documentation, without the need to wait for other companies that need to get engineering details from their parent offices. This can be very inefficient and extend the schedule of projects. Additionally 360 Global has a competitive advantage because all engineering and drafting is produced by Filipinos in the Philippines. All others have a substantial overhead due to the requirement to pay Expatriate rates for engineering services. 360 Global has also developed procedures and formats, for production of project documentation, that is “world’s best practice”, utilizing the latest software technologies and database systems.